Copy and paste the following into a text document using any simple text editor (Mac OS X: TextEdit; Windows: WordPad, Notepad). During this tutorial, fill in your answers between the [[[ ]]] marks  please leave these marks intact. Most questions below will require YES/NO answers; if "NO", include a brief explanation, if possible. Many of these questions may seem mundane, but they will ensure that your software has been installed correctly and will help us to maintain it on the three different operating systems we support  Windows, Mac OS X, and Linux. Now you are ready to actually begin the tutorial. Follow the instructions in the remainder of this tutorial, and then fill in your answers to the questionnaire when asked to do so. Please email this tutorial questionnaire to your assigned BootCamp tutor (the person who emailed you the original download instructions  Tutorial #1) and wait for a reply/feedback before continuing with the next tutorial. licensees (Basic or Pro, all versions).  or note them down for discussing during a phone consultation. and when you need additional help in completing the remaining tutorials. To activate the Test option, which gives you trial access to approximately 15% of the course material, including all introductory information required for completing RMHI's Herbalists' BootCamp, you will first need to complete this tutorial. If you intend to apply for admission or would like to become a member of the RMHInet brainstorming network, you must complete all the tutorials of Herbalists' BootCamp. It is important to follow the installation instructions exactly  see the 'HowToInstall' document link on the page where you originally downloaded the software. 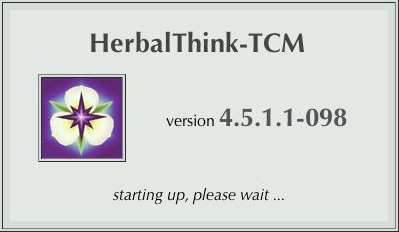 To run HerbalThink-TCM the first time, find the original folder that you installed, which will be named something like HerbalThinkTCM_45116 (4.5.1.16 is the version number). Open up this folder, and you should see a single folder: herbalthinktcm . 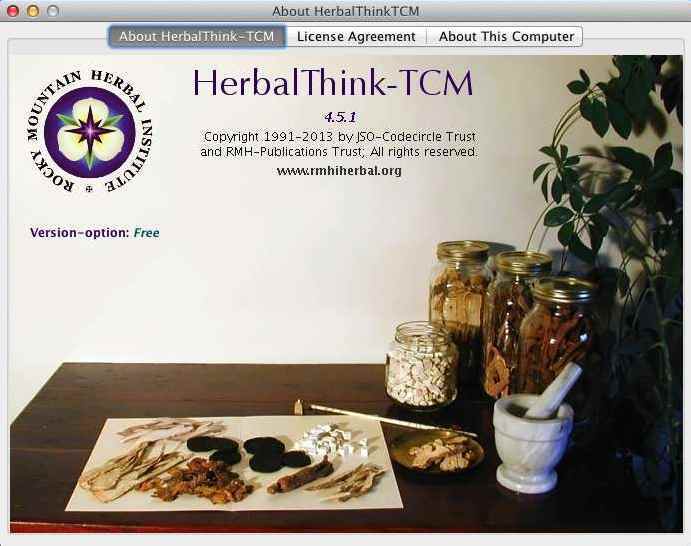 Finally, open up this folder to see all the primary components of the HerbalThink-TCM system. The folder contents should be as follows (on Mac OS X  for Windows and Linux, the ordering may be slightly different, but all the same items should be included). The first time you run it, your system software validation feature may respond by saying the software is "untrusted" (which means it is not certified by either Apple or Microsoft). We thoroughly check our software for viruses, etc., before each release. To run, you must specify that you allow our software to run, and the procedure for this differs on the Mac and on Windows. 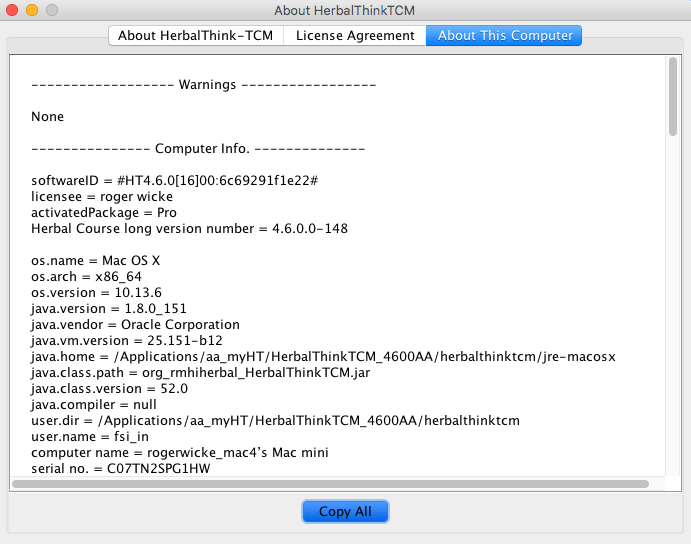 It may be as simple as selecting some option like "Run anyway", or you may need to go into your System Preferences to specifically add HERBALTHINKTCM to your permitted list of allowed software. Refer to your operating system instructions for how to do this. Windows: Right-click on the HERBALTHINKTCM-windows-bat.bat file and select Create Shortcut , then copy this shortcut and paste it onto your Desktop. Mac OS X: Right-click on the HERBALTHINKTCM-macosx-cmd.command file and select Make Alias , then copy this alias and either paste it onto your Desktop or drag it to the Dock (on the right side where documents are normally represented). Linux: create a Desktop Launcher for HERBALTHINKTCM-linux.sh . The command menus will be attached to the control panel window itself. 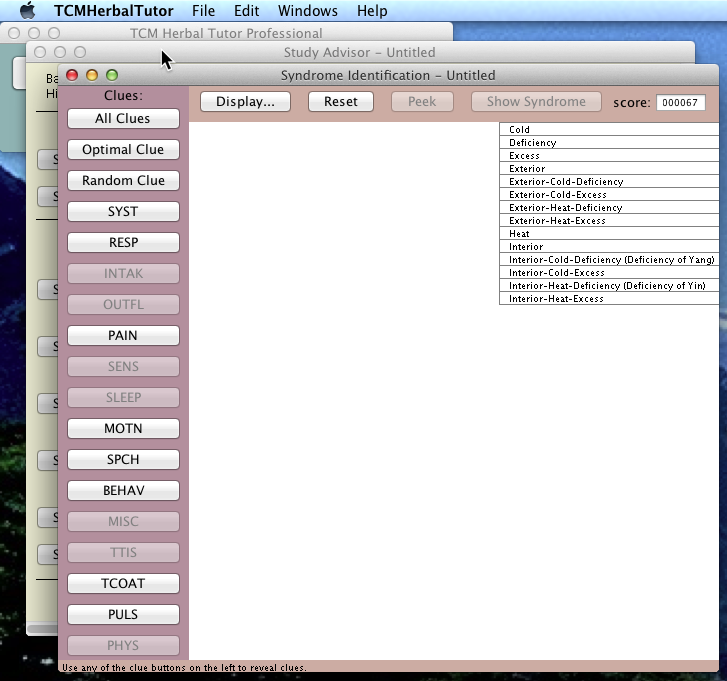 The HerbalThinkTCM menu appears labelled, instead, as the File menu. 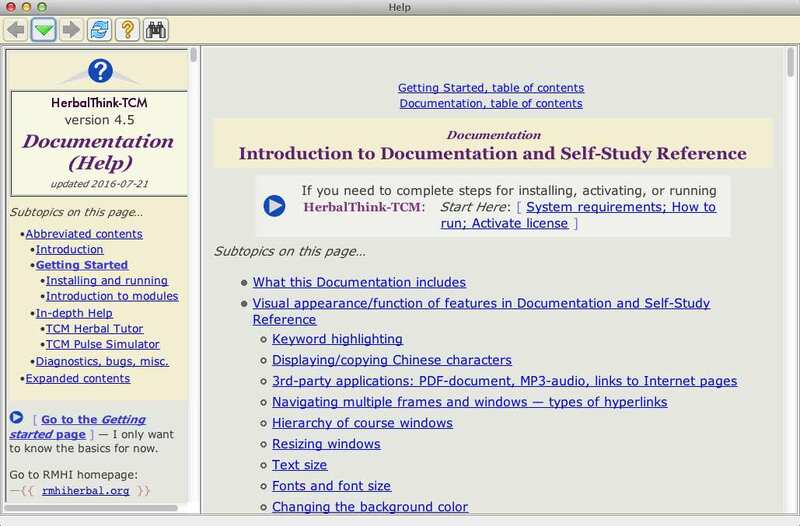 If you need more help in running HerbalThink-TCM, double-click on the file Help.html inside the herbalthinktcm folder. The complete documentation/help will then open up in your default browser. Please answer the questions in section A of the questionnaire. At the end of this tutorial, you will be selecting the Copy All button at the bottom of the preceding tab. This will copy all the window's contents to your System Clipboard, which you can then Paste (keyboard shortcut: Windows: ⌃V ; Mac: ⌘V ) into your email questionnaire  see the last question. Need more help with Copy/Paste? 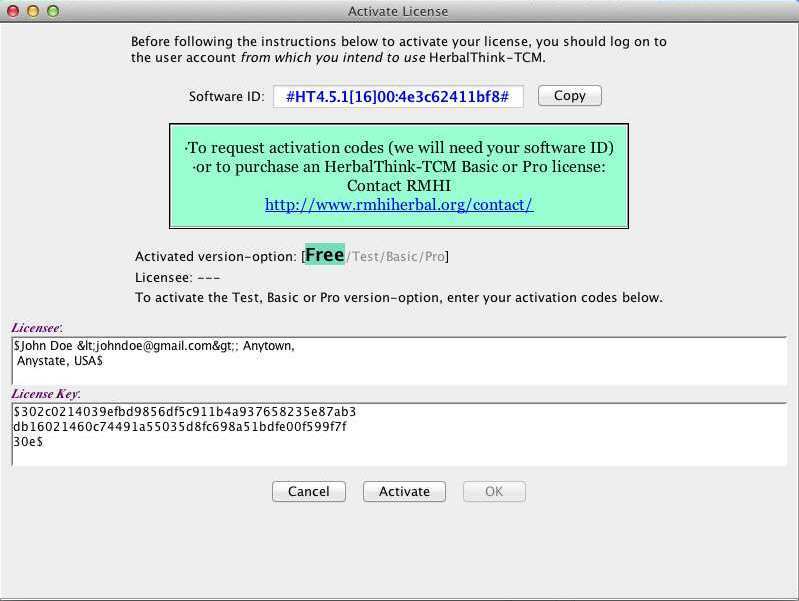 Select the HerbalThink Help command from the Help menu. 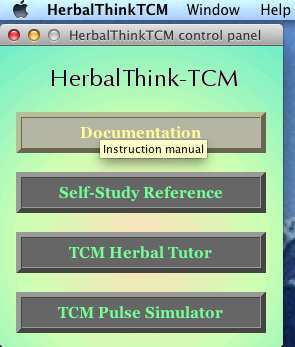 Double-click on the file Help.html within your herbalthinktcm folder, which will open it in your default browser. For the purposes of this section, you must open the Help by clicking on the control panel button. For users who are not especially computer-savvy, there are many important tips on this page that are standard to many computer programs, and you should become familiar with those features, like changing font size and resizing/enlarging windows. Important note: the above table is an identical graphical-image copy of the table as it appears on the author's computer, so the complete set of Chinese characters will always appear correctly here. You need to examine your computer's capabilities by viewing the corresponding table as specified in these instructions. Link to PDF file  should open in your default PDF reader. Link to MP3-audio file  should open in your default audio player. http://www.rmhiherbal.org/  link to RMHI's website. Should open in your default browser (e.g. : Firefox, Chrome, IE, Safari). Now scroll down to the next section, Navigating multiple frames and windows — types of hyperlinks. Practice clicking on the various links in the table to see examples of how many windows within the text modules of HerbalThink-TCM are organized using multiple frames within each window. Initially, this may be slightly confusing to new users. However, you will eventually appreciate how this allows you to quickly jump around in the texts and databases via cross-referencing links, without losing your place or sense of location in the overall hierarchy. To permanently change the default font size, for example to display a bigger type for easier reading, choose the Preferences… command. Please answer the questions in section B of the questionnaire. Windows, Mac OS X, and most Linux desktop operating systems have a very handy feature that allows you to magnify small text. This is especially useful for older software that may not allow for text size enlargement within the application itself. The 'Magnifier/Zoom' feature will be useful if you plan to use the Herbal Tutor interactive-game module extensively. Herbal Tutor has been in use since the year 2000. We freely admit that the interface is ugly, somewhat clunky, and could do with an update (we are working on it). However, this software has been a crucial component of our curriculum for over 15 years, and it still works quite well with the latest versions of Java (7, 8). Students who faithfully use it throughout the one-year Level-1 course consistently demonstrate clinical skills and analytic abilities that routinely exceed that of 4-year TCM college graduates. We have 15 years of statistics to prove this beyond any doubt. So we are reluctant to replace it until the new software has been thoroughly tested to verify its effectiveness as a learning tool. Linux: A similar feature, usually called 'Magnifier', is commonly included with many Linux desktop systems. Please answer the questions in section C of the questionnaire. Please answer the question in section D of the questionnaire. 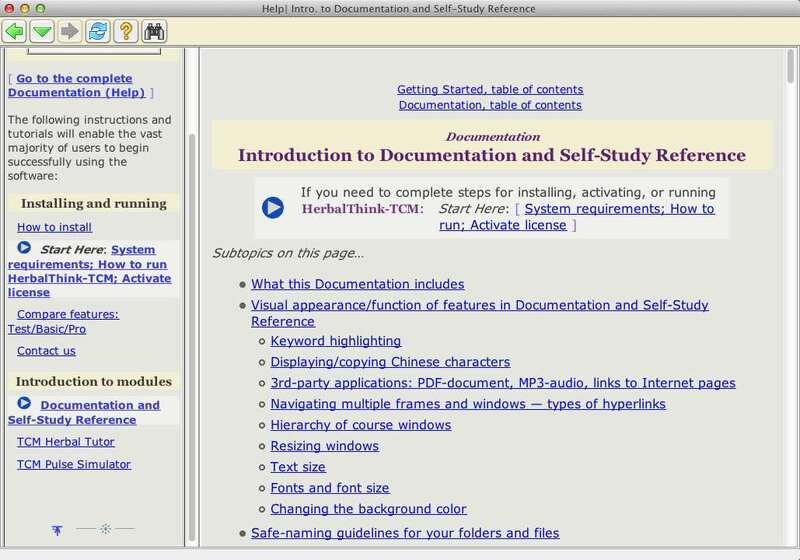 Email your completed questionnaire to your assigned tutor; it should include the 'Copy All' information from the 'About This Computer' tab  see Verifying correct installation, above. Arrange a time to call RMHI if you need help with the remaining Beginner Tutorials (if your assigned tutor is not able to help you), most of which can be completed by following the written instructions and then sending in your questionnaire results by email. Arrange to pay the tuition fee for Herbalists' Bootcamp. After we receive this payment, you will receive activation codes for the Test version-option. Choose Activate license… from the Help menu. Copy (Windows: ⌃C ; Mac: ⌘C ) the LICENSEE field from the attached file, including the beginning and ending '$'. Then paste it into the corresponding text entry box of the Activate license window; use either the Paste command in the Edit menu or the keyboard shortcut (Windows: ⌃V ; Mac: ⌘V ). Now do the same for the LICENSE KEY field. You may now close the Activate license window. 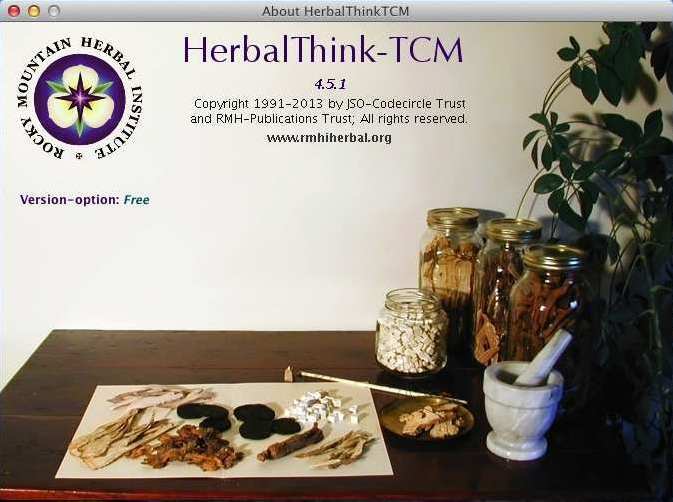 Use of these modules within the HerbalThink-TCM system is covered in the remainder of this Beginner Tutorial series. Follow the instructions carefully, then answer the simple questions in the questionnaire for each tutorial. These questions are primarily designed to ensure that you understand how to access the different software modules and find relevant subsections in each that contains the required information. This is a very basic skill that you will be using frequently as a software user, as a member of the RMHInet brainstorming network, and/or as an enrolled RMHI student. These tutorials will explain everything you will need to know in order to qualify either for Active Member status in RMHInet or for admission to RMHI's certification courses. 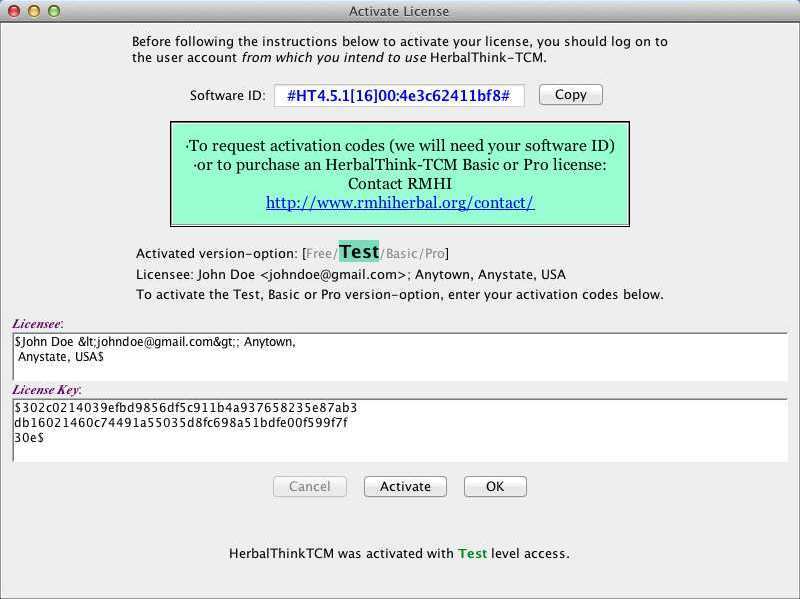 The reason that we request briefly knowing about your background, interests, and goals in using HerbalThink-TCM is to enable us to tailor the tutorial to your needs. That is the primary reason why we prefer supplementing these remaining online tutorials tutorial by phone, because it is difficult to create a one-size-fits-all introduction. The software is quite flexible and accommodates a wide range of users, from beginners with no prior experience of TCM to experts. Regardless of whether you decide to join our RMHInet brainstorming network or apply for admission to an RMHI certification course, by completing this tutorial series, we hope to permanently transform your understanding of health and illness. There is a huge amount of reading material in the course, much of it optional. While you are encouraged to follow your curiosity, avoid the common educational pitfall of reading too much without taking time for practical applications. Too much theoretical information without practical applications creates intellectual dilettantes. The mind becomes stuffed with clutter desperately in need of real-world context. That is why it is so important to stay on track to complete these tutorials. You should strive to complete at least one tutorial every few weeks. The tutorials are designed to keep you focused on the ultimate goal — how are you going to apply what you have read and learned to real-life situations?